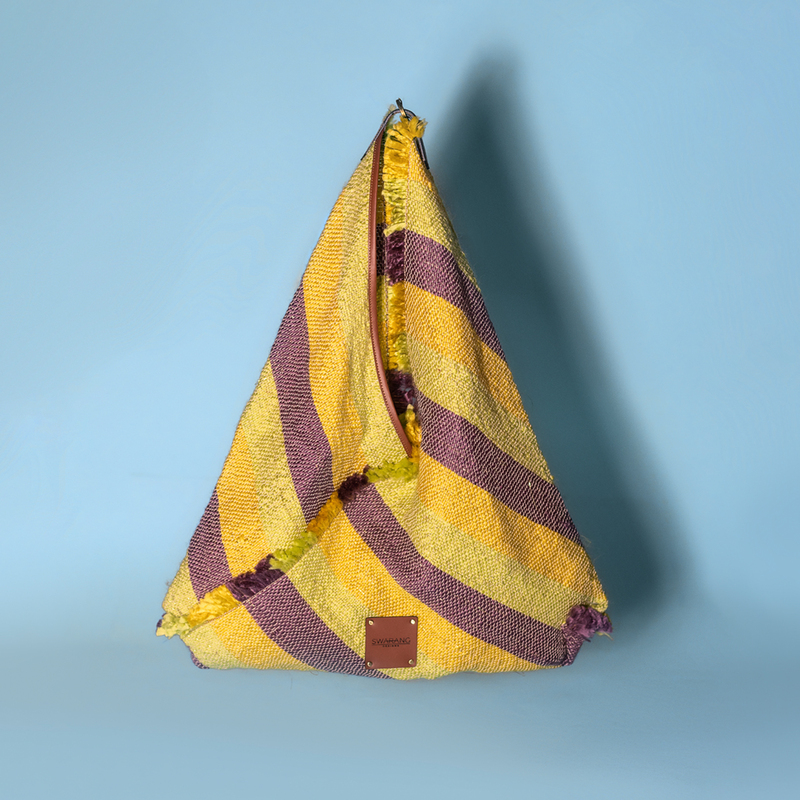 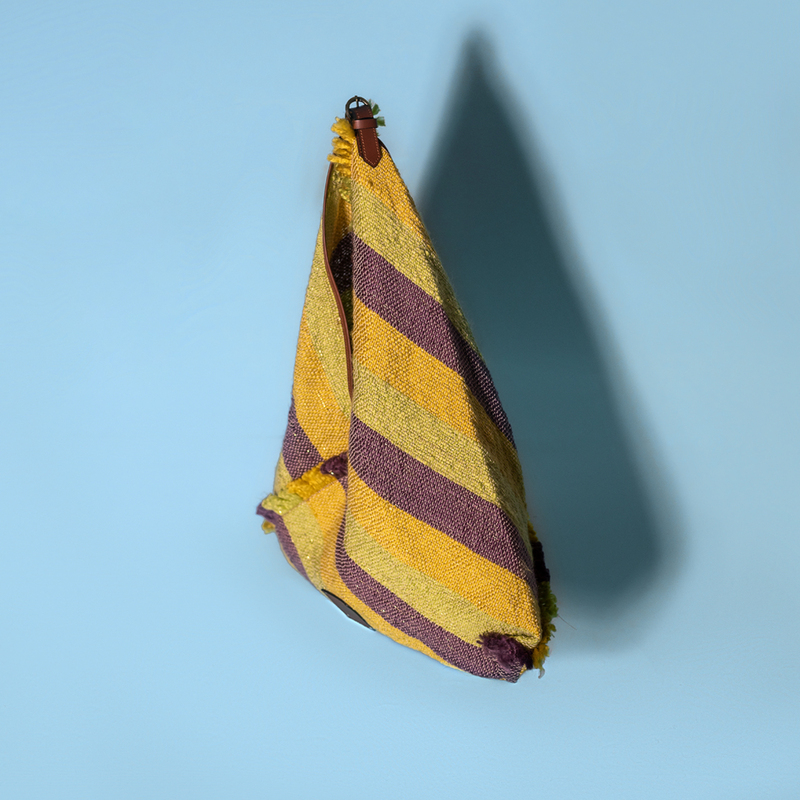 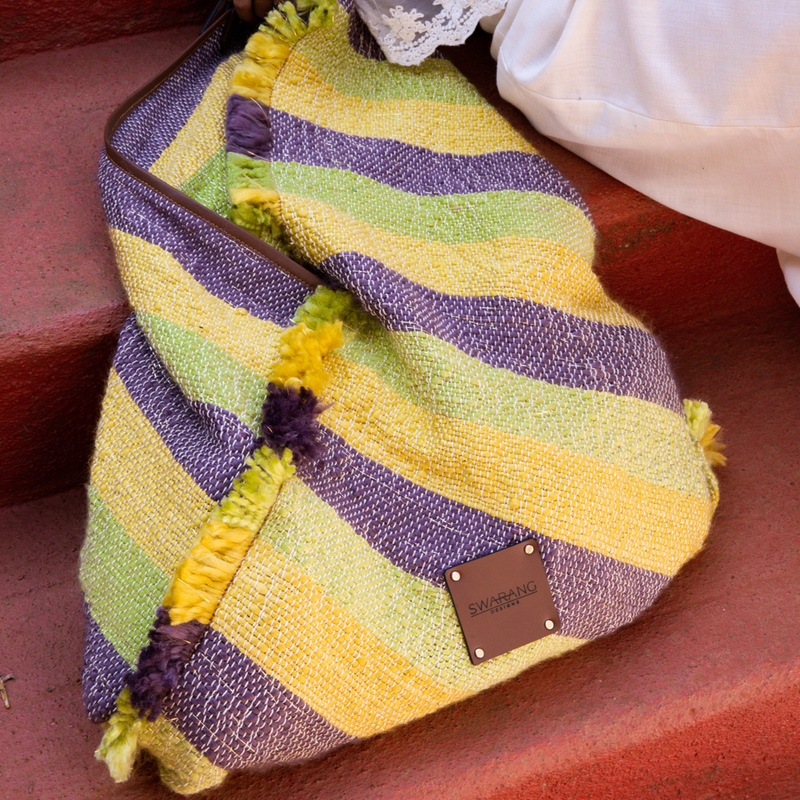 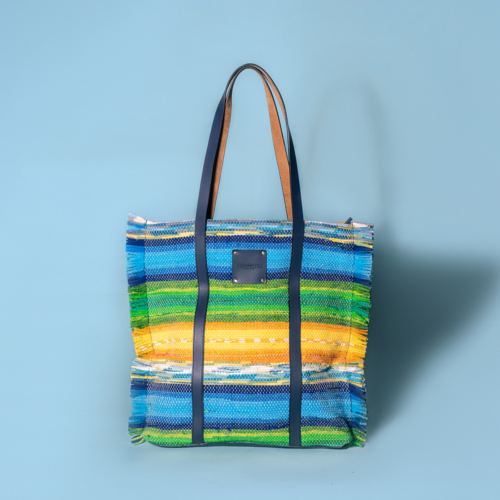 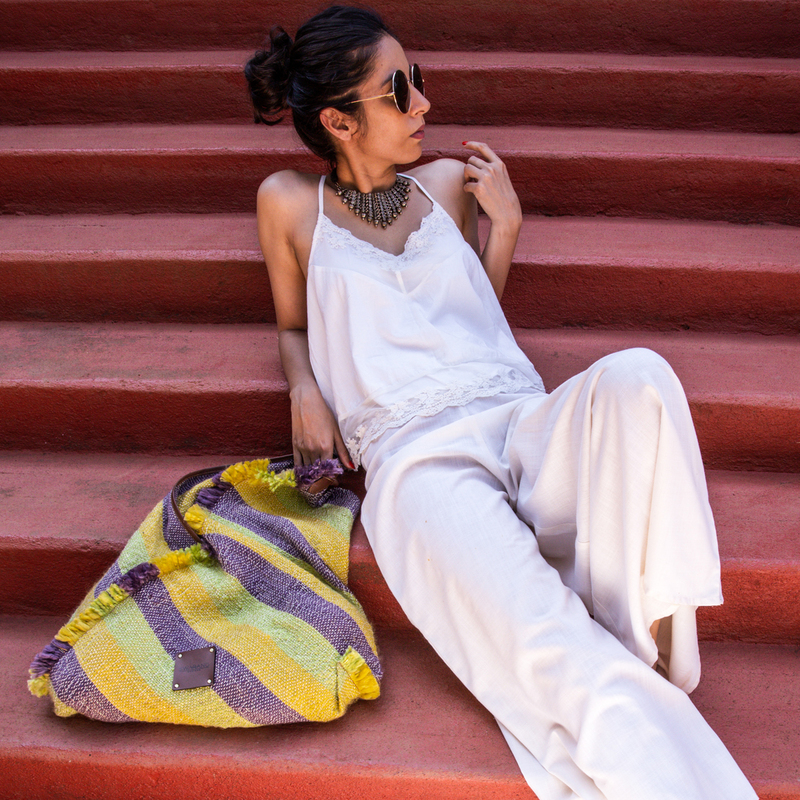 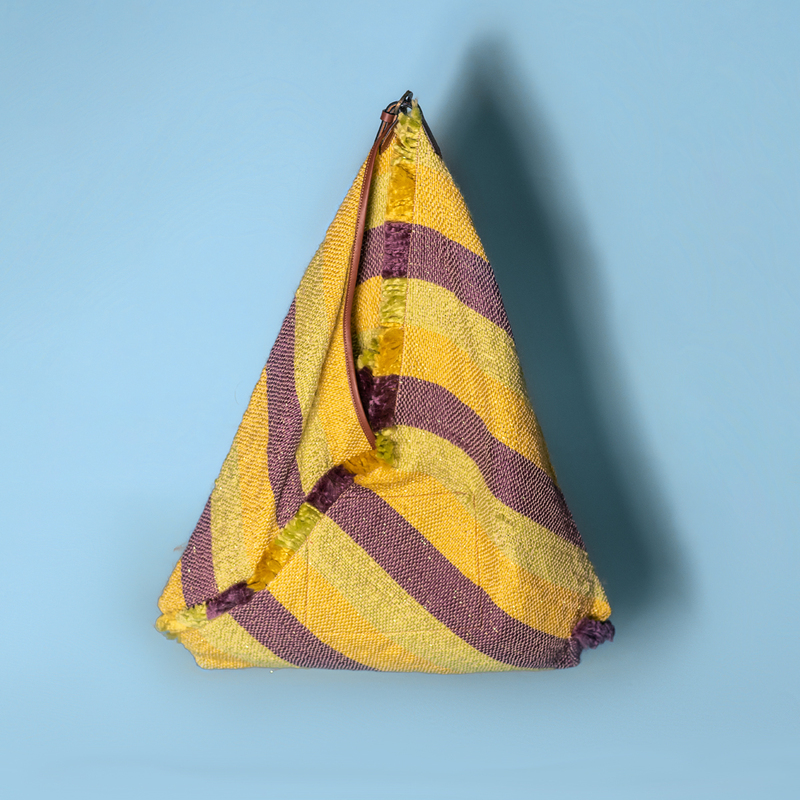 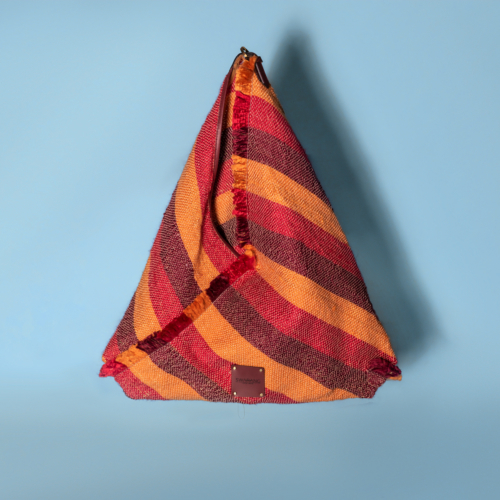 An oversized slouchy jholla bag made from handwoven fabric with wide stripe design and leather trims. 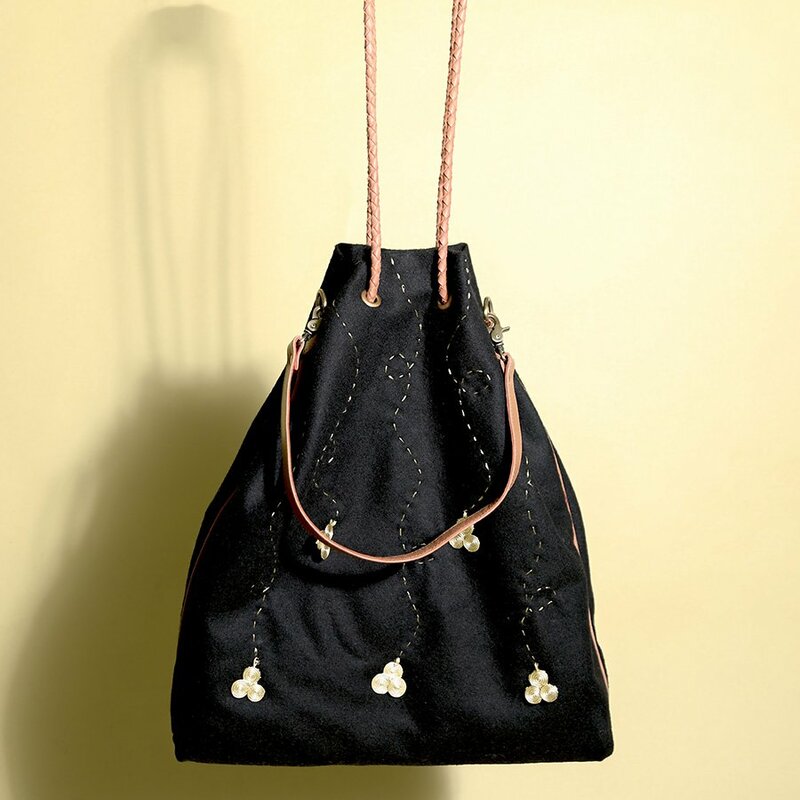 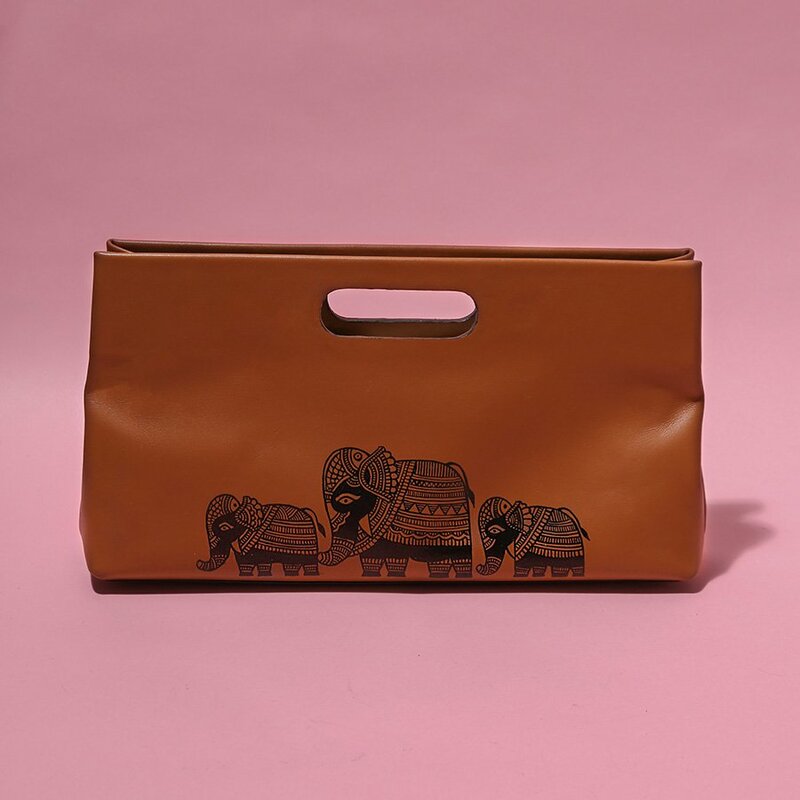 The bag is unlined which fastens with a magnet button in the center and consist of a single zipper pocket in canvas on the inside. 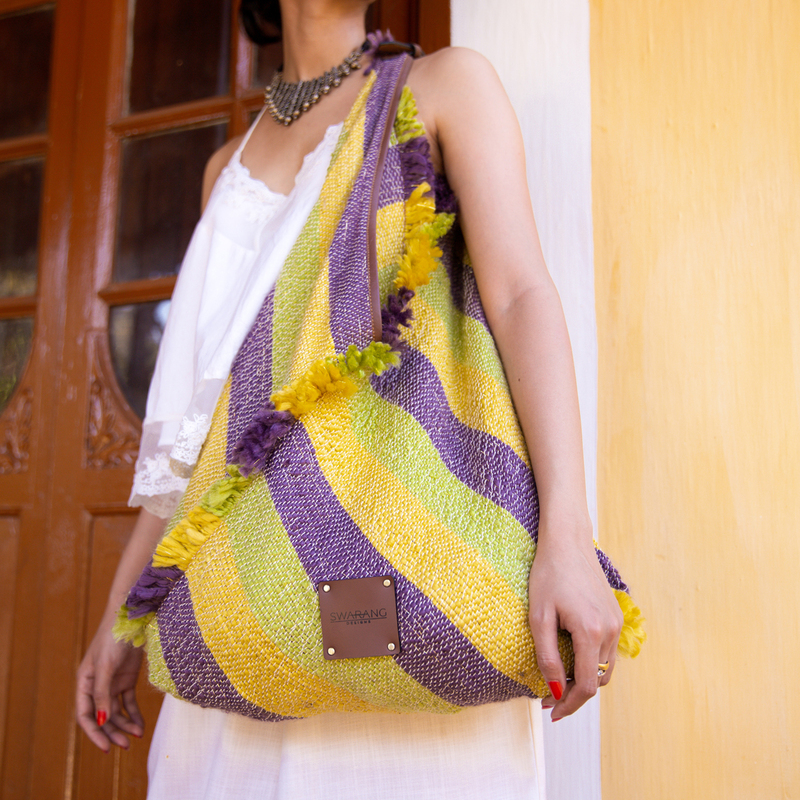 Handwoven fabric made of acrylic yarn with lurex yarn and leather trims.